California AB 1083,(Chaptered Sept. 30, 2013) enacts various provisions of the federal Affordable Care Act (ACA) into California state law and applies these provisions to insured health plans and HMO contracts in California, effective for plan years beginning on or after January 1, 2014. Most of the provisions in AB 1083 mirror those in the ACA, but one very important difference is that California’s maximum eligibility waiting period is 60 days after date of hire rather than 90 days. Initially it was widely believed that California’s maximum 60-day waiting period applied only to “small group” health insurance coverage, because AB 1083 primarily amends only the “small group” provisions in the California Insurance Code and the Health & Safety (H&S) Code. In recent months, however, California regulators (the California Department of Insurance and the Department of Managed Health Care) have confirmed that the maximum 60-day waiting period applies to large insured plans as well as to small insured plans. The AB 1083 provisions that limit the waiting period to 60 days are included not only in sections of the bill that amend California small group law, but also in sections that amend and replace California law that applies to all size health insurance and managed health care products (Health & Safety Code section 1357.51(c) and Insurance Code section 10198.7(c)). Note that the requirements apply to insurers and HMOs, rather than to employers, so insurance contracts issued for 2014 should include the 60-day waiting period limit. What Plans are Not Subject to the 60-day Waiting Period Limit? California’s 60-day waiting period limit does not apply to self-insured plans nor to insured plans issued, renewed or delivered in other states. Such plans must comply with the ACA’s 90-day maximum waiting period, and insured plans in other states must comply with any state law limits in the applicable states. California’s 60-day limit also does not apply to insured dental or vision plans issued in California, although employers may elect to use the same waiting period for dental and vision as for medical plans. Can a Plan Use “First of the Month after 60 days” rather than just 60 Days? 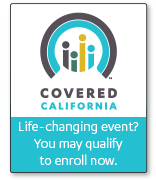 No, under both the California and federal waiting period limitations, the waiting period maximum requires coverage to be available as of the specified day (60th or 90th), not as of the first of the month following that day. Additionally, both the California and federal rules take all calendar days into account, not only business days. Since carriers generally allow enrollment only as of the first of the month, California employers may be required to offer coverage as of the first of the month following 30 days of employment, in order to meet the 60-day limit. At least one carrier has said informally that it is working on changing its enrollment systems to allow enrollment as of the 60th day after date of hire, but it remains to be seen whether this will be implemented and whether most carriers will take this approach. The waiting period limitation does not include periods during which an individual could have been enrolled, but was not due to the individual’s failure to take the appropriate actions. For example, a plan or policy will be compliant if it allows an individual to enroll by the 60th day following date of hire if the individual submits a completed enrollment form, but an individual does not actually enroll until a later date because the individual fails to submit the completed enrollment form. When in 2014 does the New 60-Day Limit Apply? The new 60-day waiting period limit (and the federal 90-day waiting period limit) apply as of the first day of the “plan year” beginning on or after January 1, 2014. Thus, a calendar-year plan must comply as of January 1, 2014, and a July 1 plan year must comply as of July 1, 2014. In any other case, the plan year is the calendar year. We conducted an informal poll of five health insurers that cover most of the small group market in California. They all said that any group renewing early will not be subject to the shorter waiting period limit until their 2014 renewal. So, a group that renews early December 1, 2013 will not have to comply with the 60-day waiting period limit until December 1, 2014. As of the date of this article, we have not heard otherwise from the California regulators. A word of caution: it appears—from the definition above—that if no plan year is specified and the deductible year is the calendar year, the regulators might be able to require compliance with the new 60-day limit as of January 1, 2014, even if the contract renewal date was December 1, 2013. We will keep you informed if we get additional information on this. The penalties can be steep for carriers and others engaged in the business of insurance. These penalties do not apply to employers. Per Insurance Code section 10753.18, a carrier who fails to comply with the 60-day limit on waiting periods could be subject to a fine of $2,500 for the first violation and $5,000 for each subsequent violation. The penalty increases to $15,000 -$100,000 per violation, if the carrier repeatedly violates these requirements “with a frequency that indicates a general business practice or commits a knowing violation.” Additionally, individuals or entities who are not carriers but who are “engaged in the business of insurance” may be fined not more than $250 for the first violation, and $1,000-$2,000 for each subsequent violation or for a knowing violation. We are here, ready to help. Contact us Today!